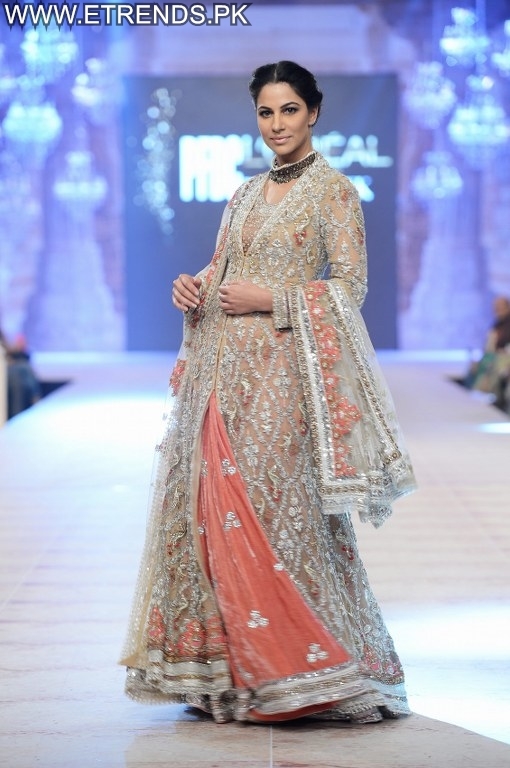 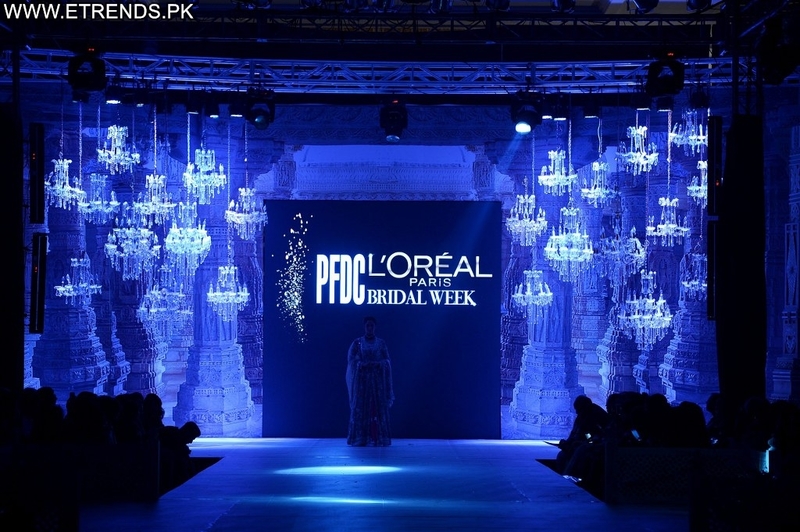 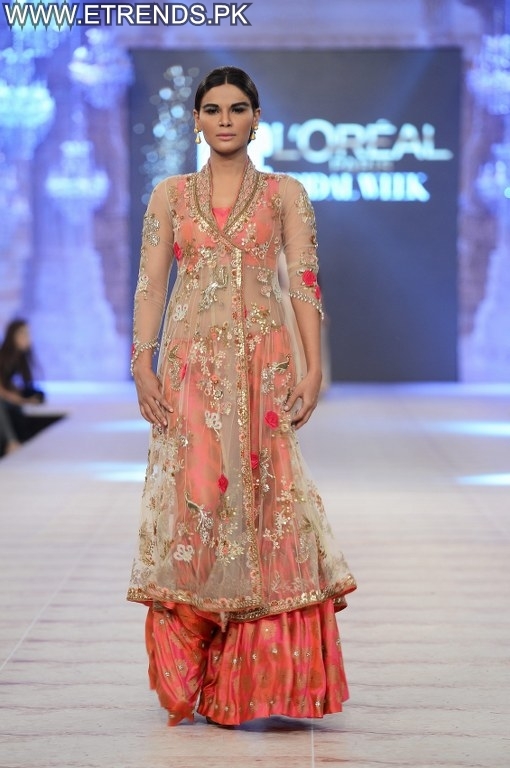 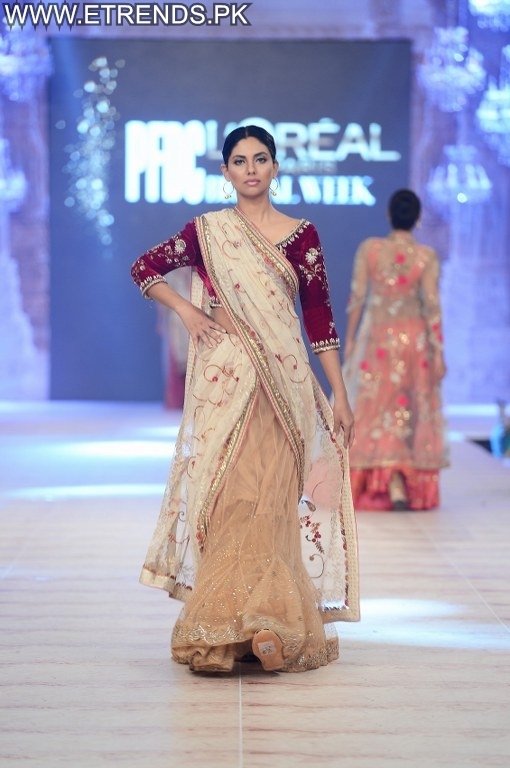 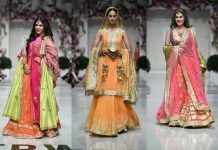 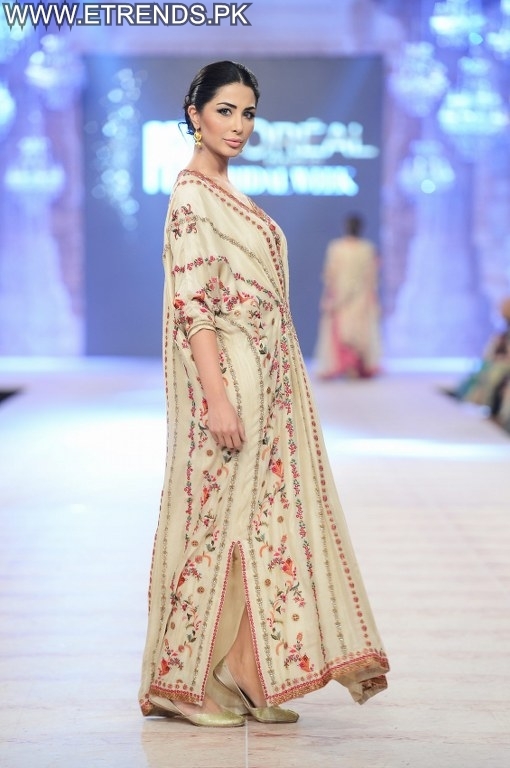 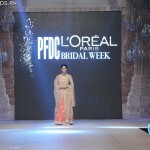 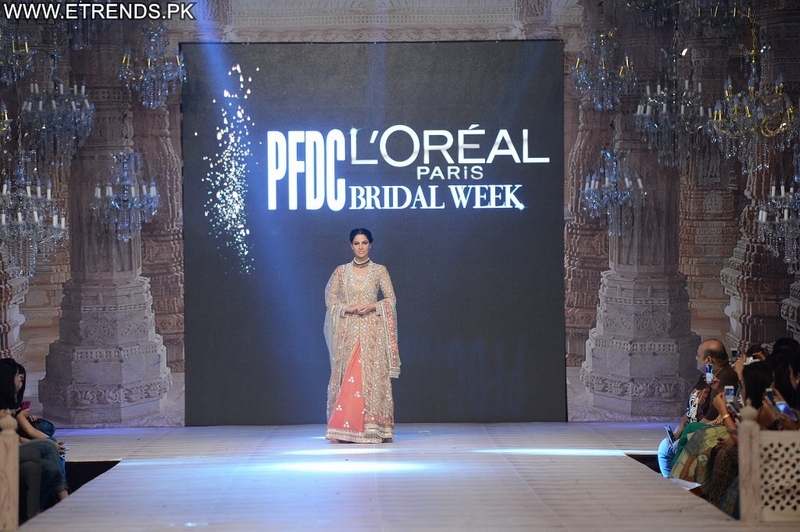 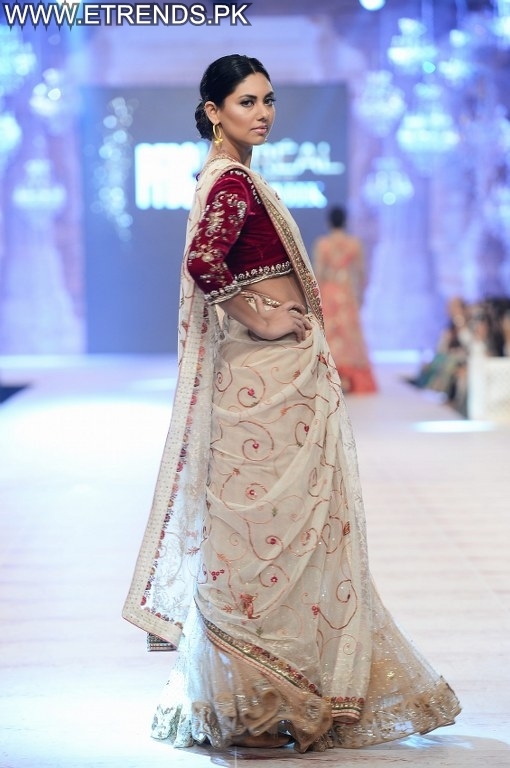 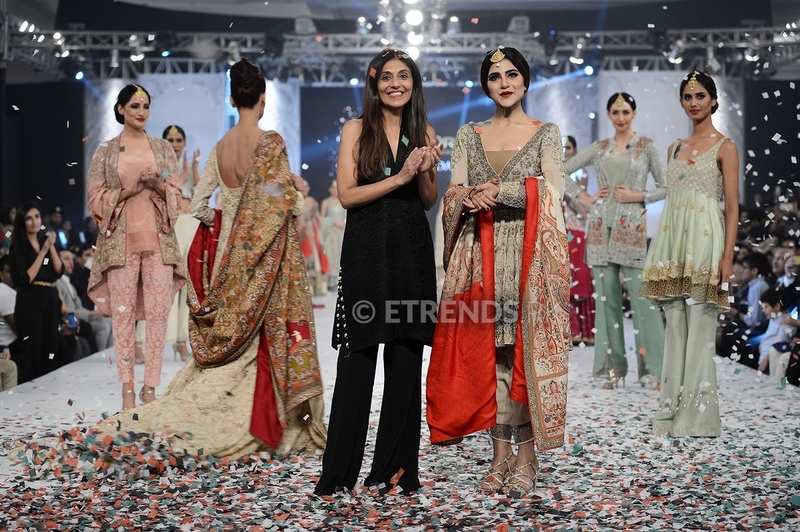 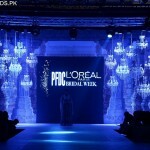 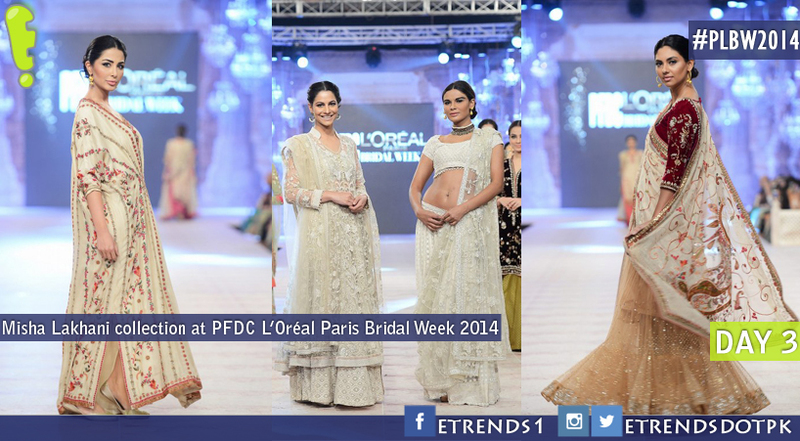 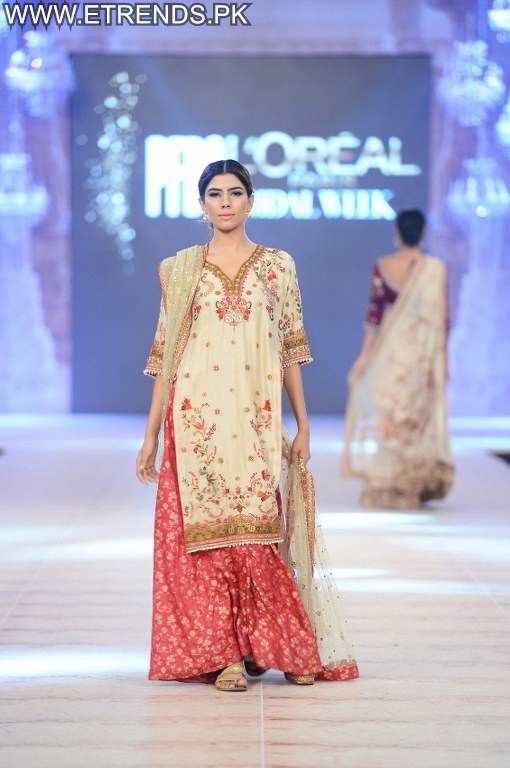 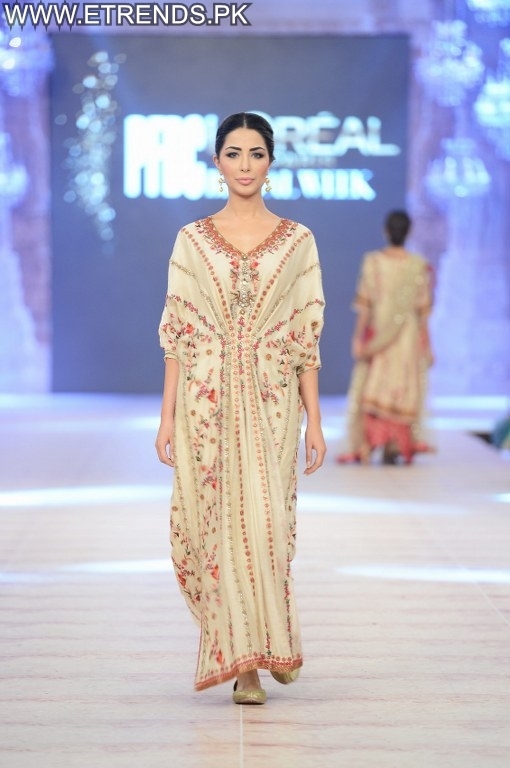 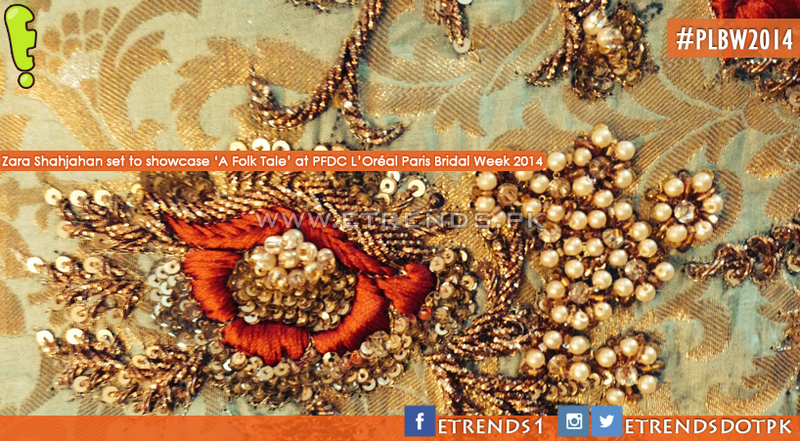 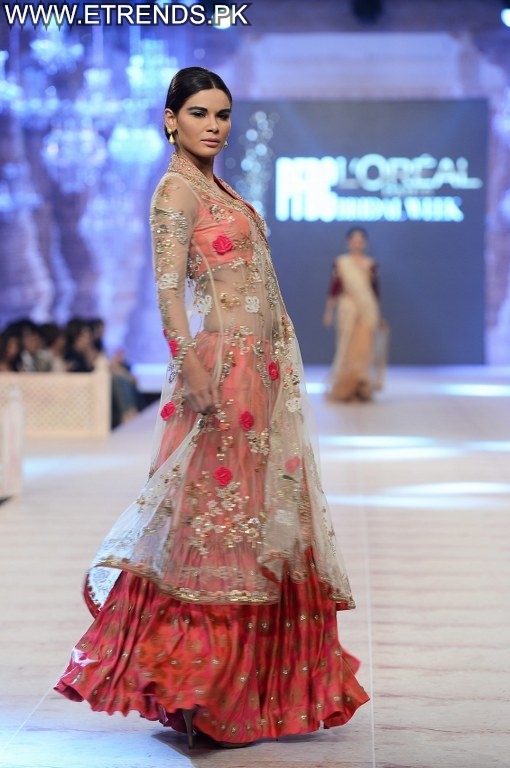 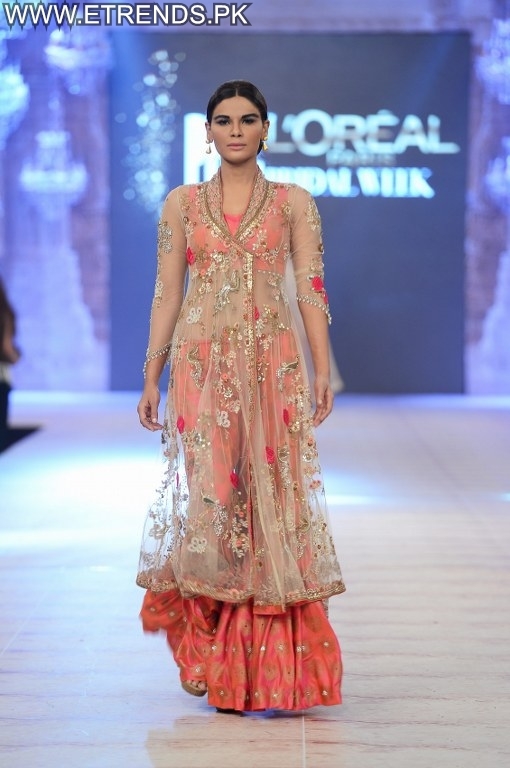 The final showcase of the early evening shows was by Misha Lakhani who presented a bridal collection titled ‘Nowruz’ at PFDC L’Oréal Paris Bridal Week 2014. 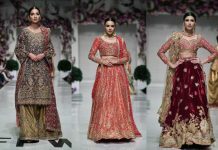 The collection celebrated old fashion romance and the idea of paradise replete with blooming floral clusters, fireworks, birds and bugs. 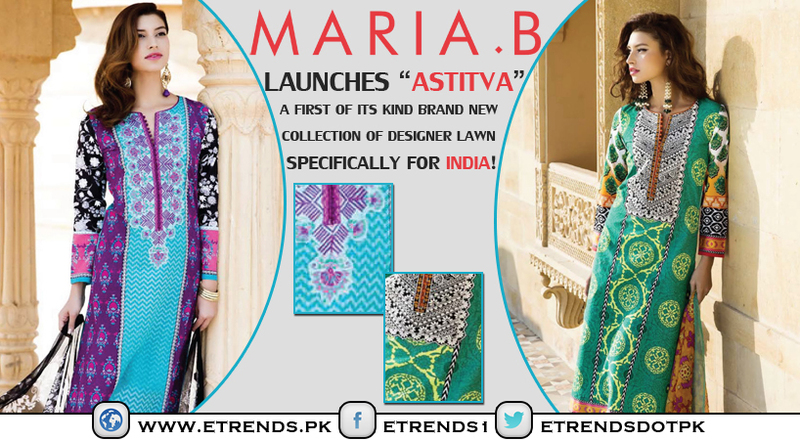 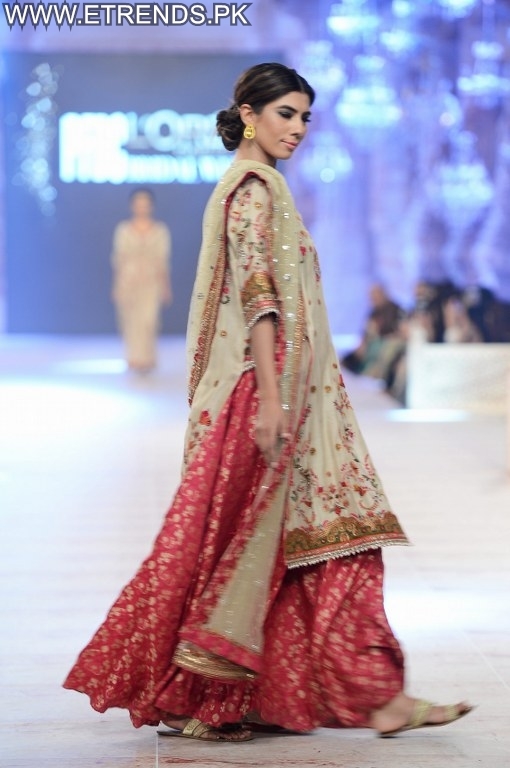 The collection was based in a diverse colour palette that included monotone bases with a burst of colour on luxe velvet embellished with a variety of techniques such as applique, cutwork, floral threadwork, oxidized embroidery and beaten work. 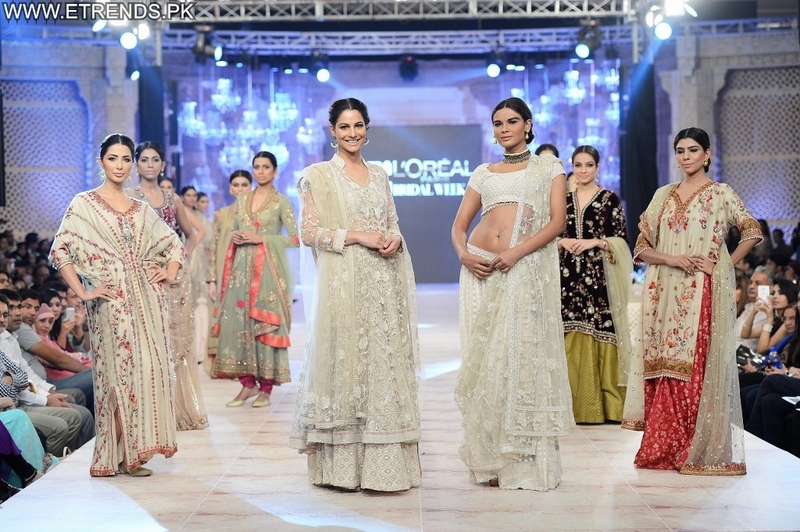 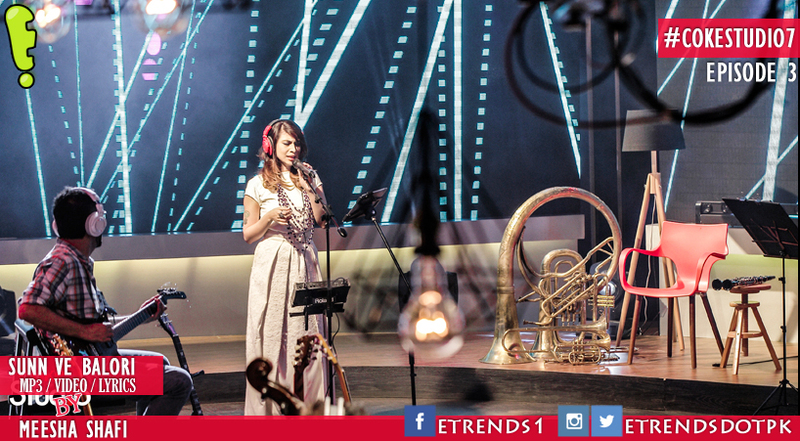 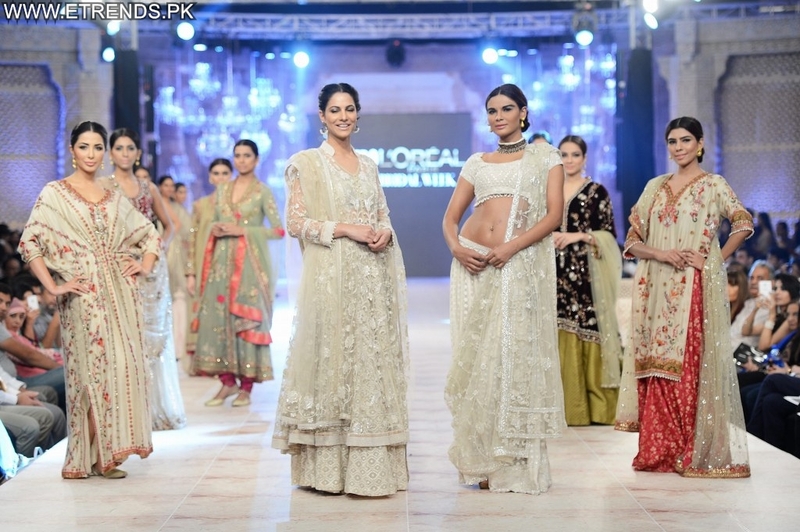 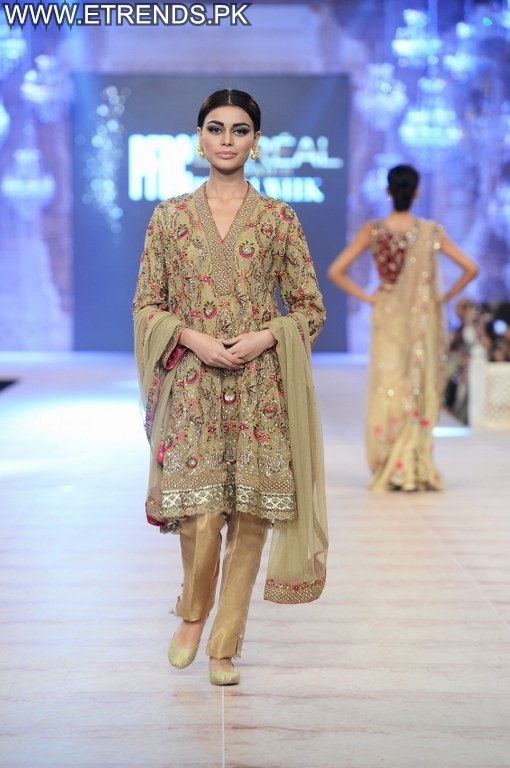 The elegant ensembles also featured pearls, clusters and jeweled birds. 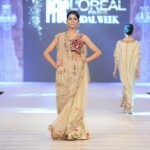 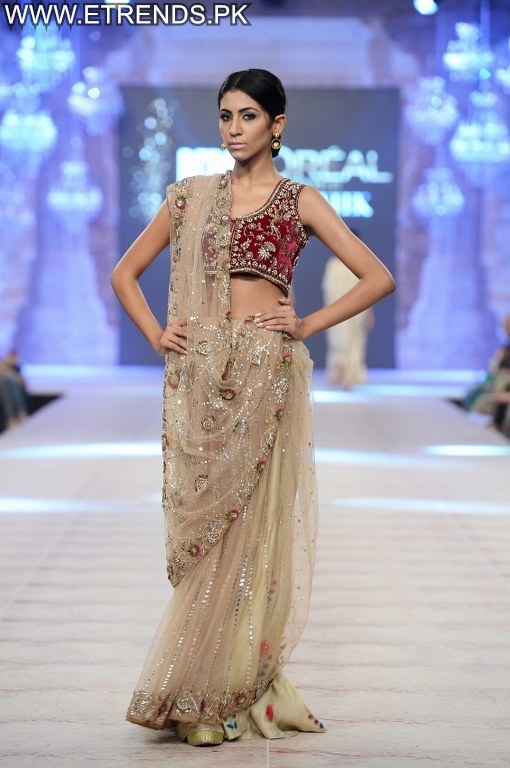 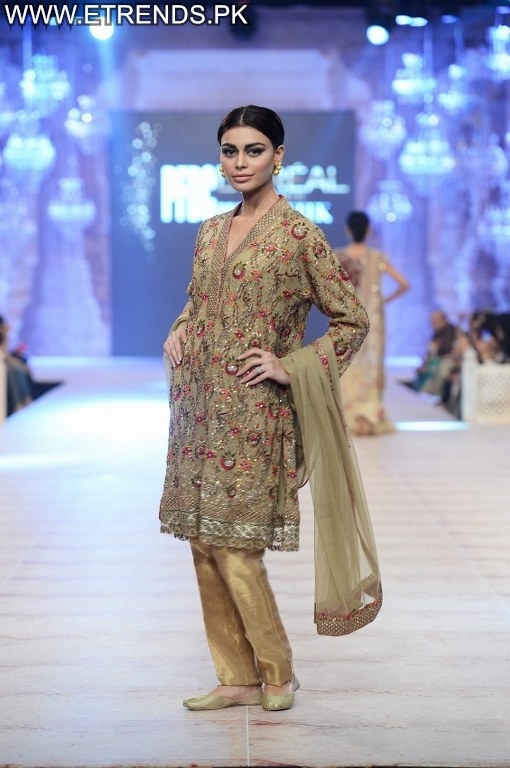 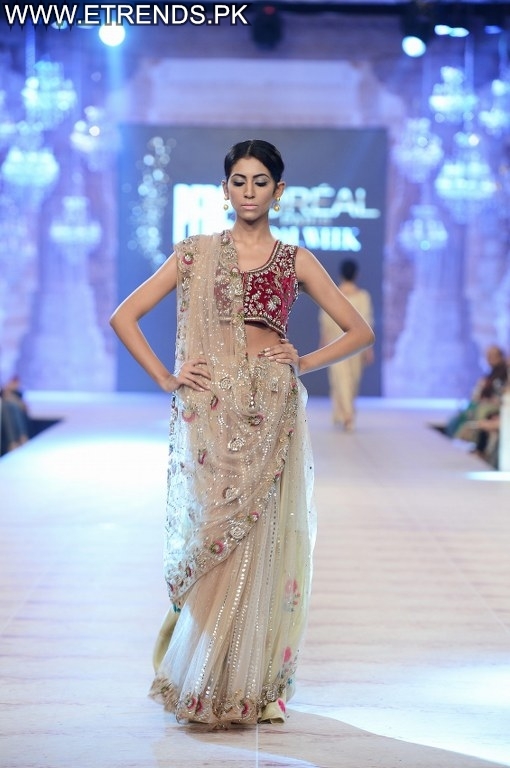 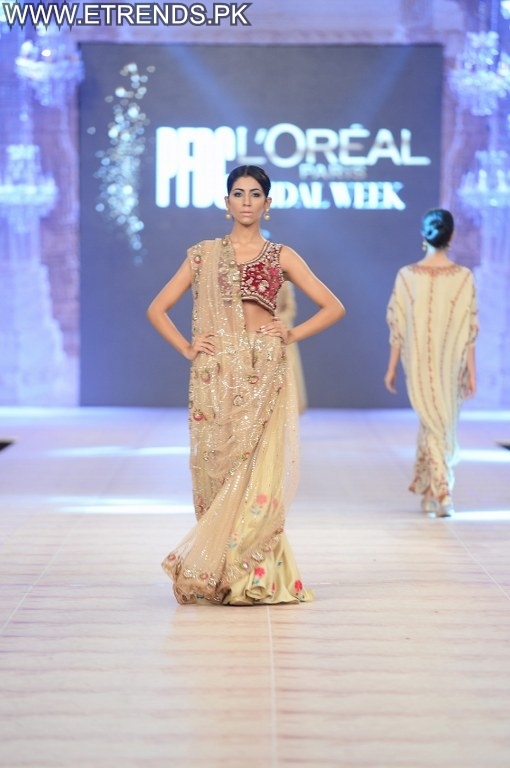 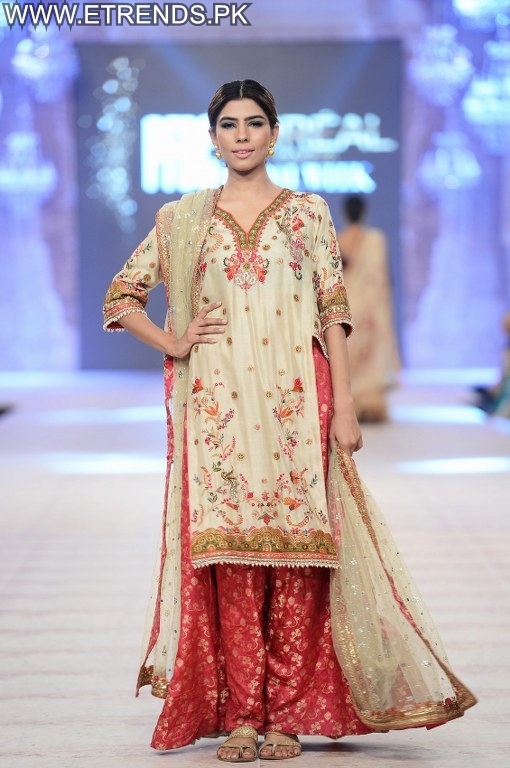 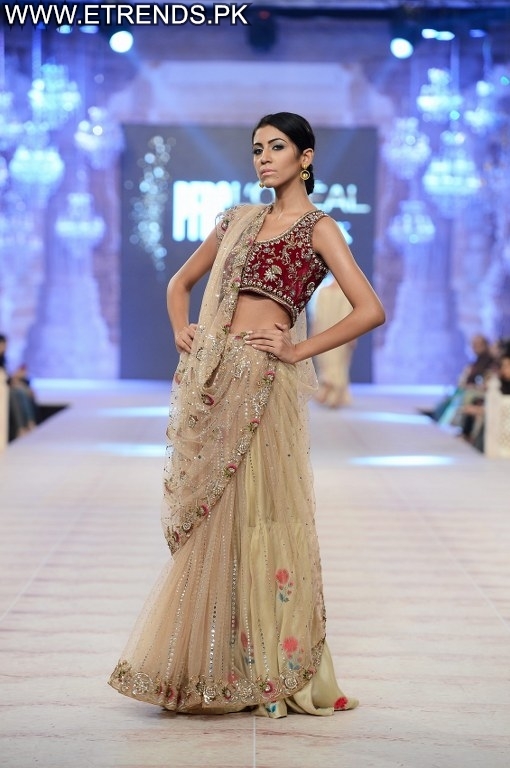 Misha Lakhani’s showcase featured jewellery by Kiran Fine Jewellery.